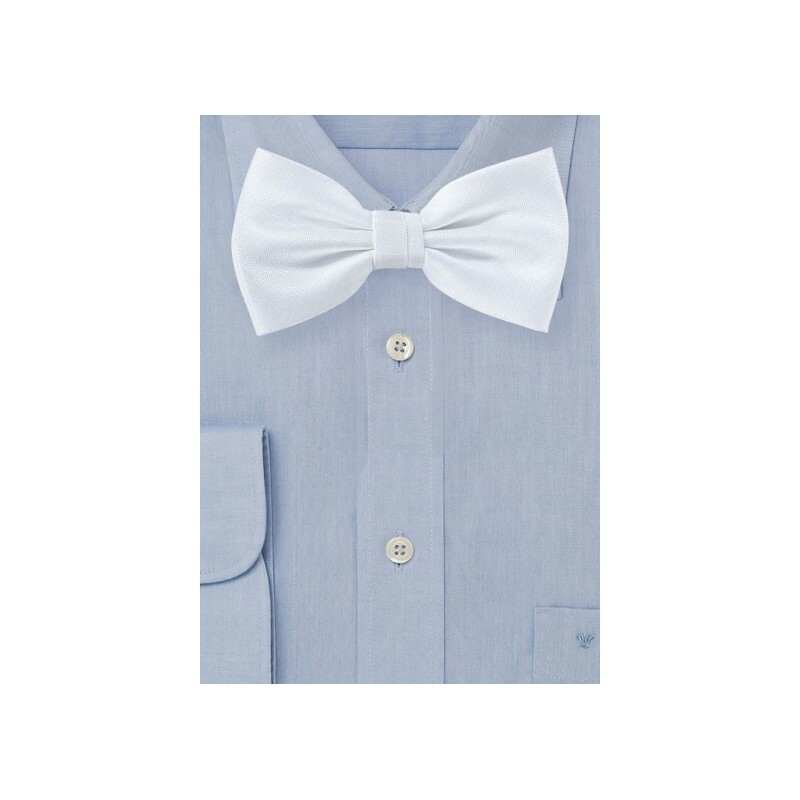 Looking for a formal bow tie that pairs nicely with almost any shirt and suit color? 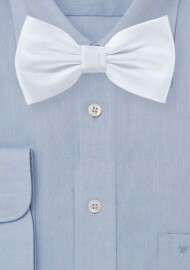 Then a white bow tie should be at the top of your list. What makes this white bow tie stand out is not the color, but the textured woven herringbone design that adds subtle matte sheen to the fabric. A great choice for shirts in white, any shade of blue, gray, black, maroon, lavender, and yellow.